Strikingly modern-looking Shigaraki mizusashi (water container for tea ceremony) from the Edo era with black lacquer lid — probably remade, due to its pristine condition. The large size and simple geometric profile make a stunning visual statement. Due to some kiln cracks, it should be used as a display item rather than as a mizusashi. 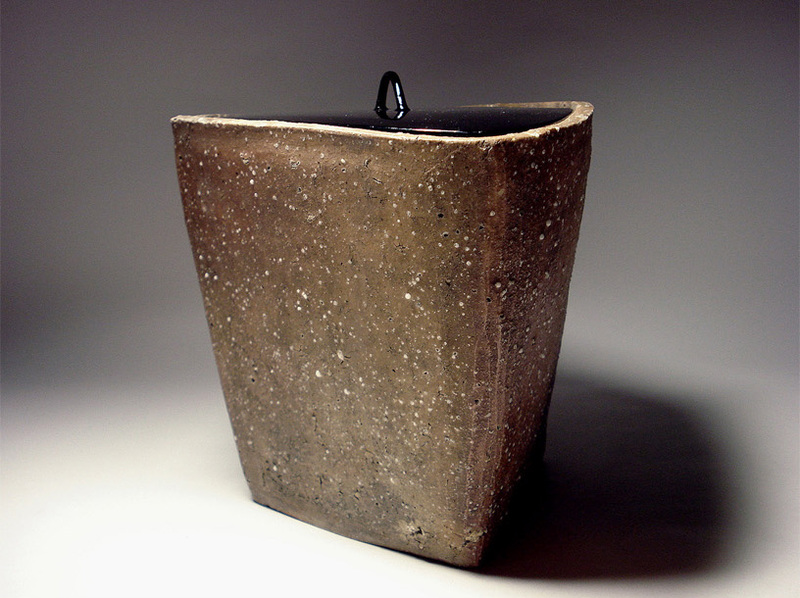 The rough, grainy texture of the Shigaraki clay is wonderful, and the ash glaze has a nice, warm color. There is a nice old box made specifically for this wonderful piece. Condition: Good, except for kiln crack. Please check the photos carefully.